HomeArticles | NewsAgenciesWhere is Waldo Calling from? Near shore or Offshore. Where should you place accounts and BPO work? 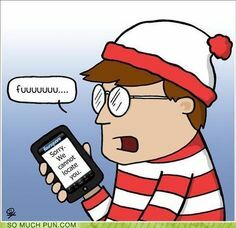 Where is Waldo Calling from? Near shore or Offshore. Where should you place accounts and BPO work? There have been a lot of discussions over the last few months with my clients and in the media about collection agencies and creditors moving work offshore. The BPO (Business Process Outsourcing) biz is growing due to the reduced profits and squeezing of contingency rates that the industry is experiencing. The question is WHERE DO I PLACE MY BPO? So let’s explore the options, we have India, Philippines, the near shore Caribbean and Mexico. Next is the Philippines, many people moved from India to the Philippines over the last 3 years. The language is better than India, but still a challenge. Their understanding of US culture is better, but still lacking. The cost was great till the last year, as costs have taken a sharp rise recently, doubling in many cases. The ability to pop in is also quite an investment as its 18 hours from Washington, DC. The skill set is good for most daily tasks like call center work and data entry, but the cost is becoming too high quickly. Mexico has been a option for many years and most call centers are conveniently located right over the US border. Please call centers serve as bilingual call centers and the English skills are very good. Their knowledge of US culture, it Is obviously high. The difficulty is the cost of those employees has been high for many years but is very effective. This is a great Choice for US call centers they are based in Texas, Arizona, New Mexico, California. Ok the Caribbean has been a hot spot for 20 years with the change from textiles to call centers in the Free Zone in Montego Bay, Jamaica. Now Costa Rica, Puerto Rico, Dominican Republic and St Lucia to name a few are in the call center biz. The labor costs in the islands is steady and the English is very good as many islands speak English as the primary language. The ability to manage the staff has been better as its just 2 hours from Washington, DC to Montego Bay, Jamaica or Santa Domingo. Most of the islands have a good understanding of the US culture and places like Jamaica get Cable TV from Miami, LA and Montreal, Canada. This has helped the work force become more accustomed to US culture, language and even slang terms. The skills are mainly called center oriented, but the ability to hire highly skilled labor are better in places Like Kingston, Jamaica and San Juan, PR where the large Universities are located. So where should you place your BPO business? My answer is the near shore Caribbean if its call center work. I prefer Jamaica but that is a preference of mine as I know the people and have been going there since my first visit as an auditor for Bombardier Capital in 2000 to audit Alliance One a Philly based operation that had some of my files at their Montego Bay call Center.